Lisa Frye, representing Argentina at the 2015 College of Saint Rose Model United Nations, stood before more than 100 students to propose a resolution to uphold the freedom of speech and safety of journalists. 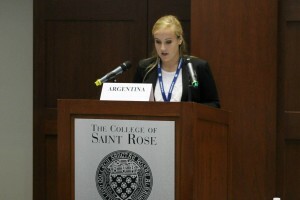 Frye, a first-time delegate, asked the other countries to stand with Argentina and implement standards for recognizing and protecting members of the print and electronic media. 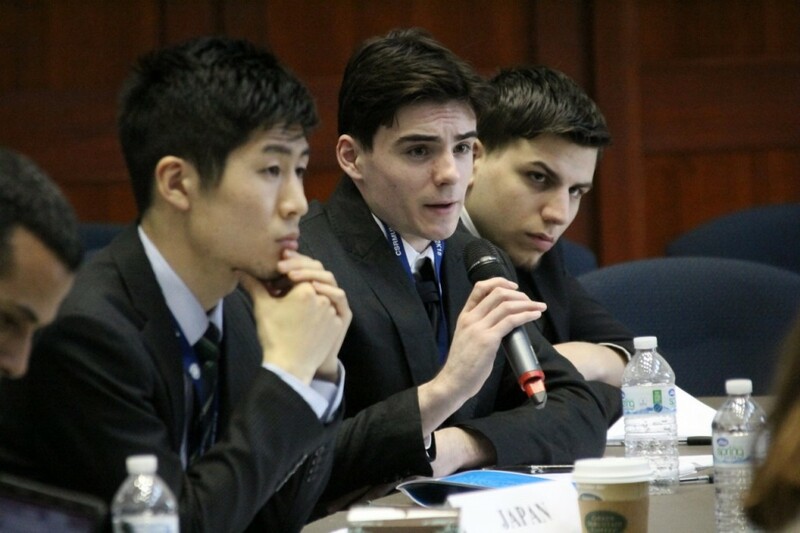 The resolution passed, with 14 out of 20 countries agreeing with Argentina. Frye, a senior, is a Spanish major with a minor in business administration. She hopes to make her way into international business. 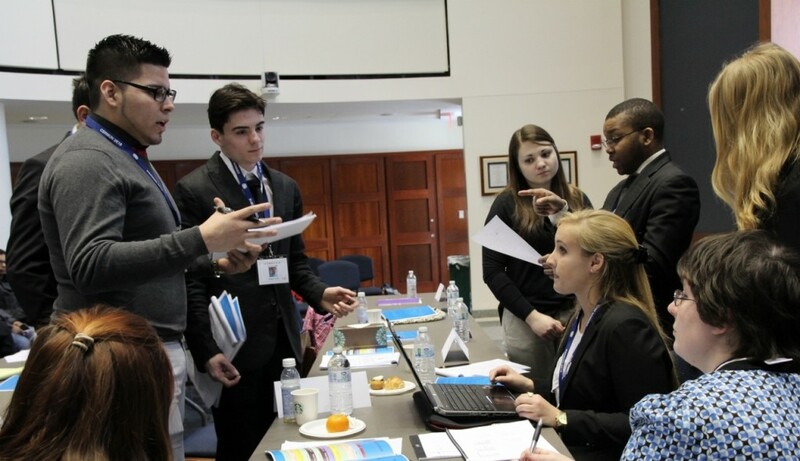 Taking part in the College’s second model U.N. – and her first – March 10 helped her consider the perspectives of other countries. 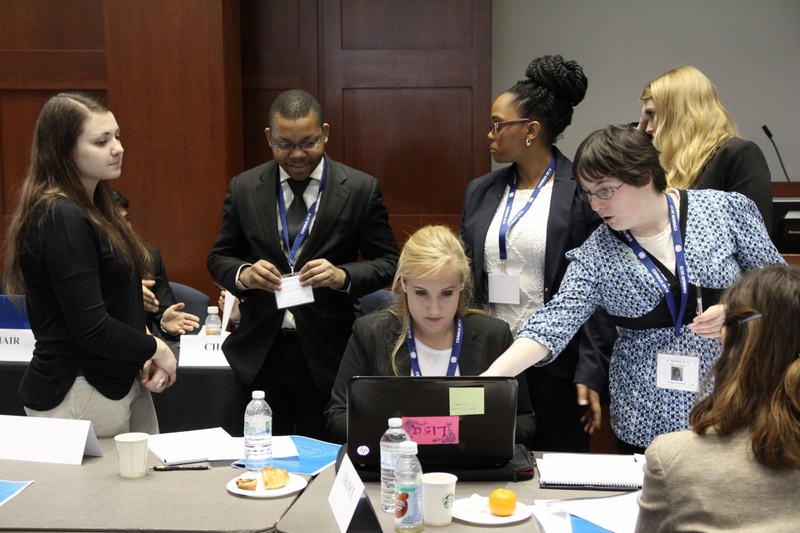 Part simulation and part academic competition, Model U.N. gets students to represent different countries to learn about diplomacy, international relations and the United Nations itself. 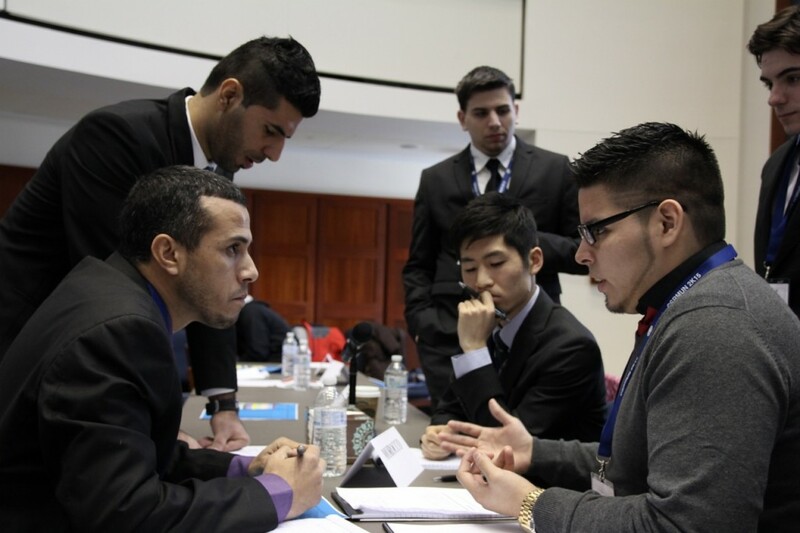 The Model U.N. was presented by the Saint Rose International Student Organization to engage students and faculty in debates about situations around the world. The event also was intended to open students’ eyes to different cultural perspectives to make Saint Rose a more global institution. Following the success of the inaugural event, the 2015 edition expanded from one council to separate councils in security and human rights and a general assembly. Students practiced their speaking skills and worked together on common goals. Elenie Martinez, a freshman who served as co-chair, noted that the experience enhanced critical thinking skills and teamwork.